Fire-wood makes you warm three times; first collecting it, secondly shifting it and third when you burn it. The Fire Bag is an excellent piece of gear. I bought 4 to organize my various kits so my gear would store neatly into the The Haverack I bought. Great quality! I really like these bags, and I’ve bought a bunch of them. The sizes vary slightly, as they’re hand made, and the are very sturdy. I do have one bit of constructive criticism, however, and it can easily be seen in the pictures of the pouch on the website: there are gaps at the edges of the zipper which make for an obvious weak point with respect to water resistance: some pouches have gaps on both sides, too, but having a hole in the bag means, for example, that dropping it in a puddle could result in a lot of water getting in. I’d be happy to pay a few bucks more for pouches without these gaps. That said, it’s still an outstanding pouch – but it could obviously be better, which is why I make this note and give it 4 out of 5 stars. I have four of these bags and they work great. 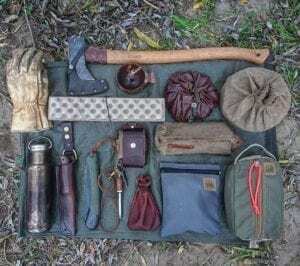 I use them in my day ruck and haversack. 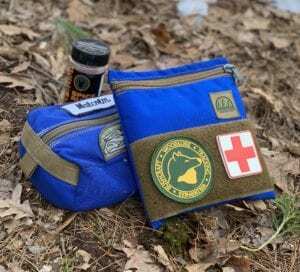 I use an orange one as my fire bag, two ranger greens, one as a first aid kit and one for food items like nuts, oatmeal, coffee. The grey bag is just a little lighter than the Marshall Gray but it still looks good with my Marshall Gray Haversack. These fire bags can hold a lot of stuff and they are very durable. I’ll be ordering a few more. 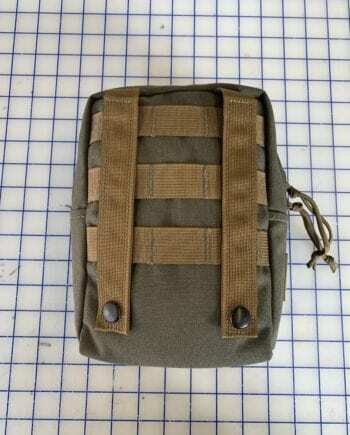 I’ve already bought a bunch of these in various colors and reviewed them (JWS), but today I received my latest order that included a yellow one and a Kryptek variety – I really do like these pouches. Very tough. Get one in every color. So glad I bought a Black Camo Fire kit pouch. 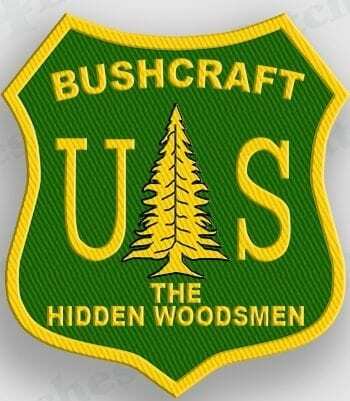 I like the Velcro patch to put on my Hidden Woodsmens patches. Buy more than 1 because there are so many kits you can make with them! Something so simple, yet so useful, put together in a way that will last a lifetime of abuse. So good I bought another in blue! Absolutley love this for my fire kit. I carry two tins, one with ignition tools and the other with tinder. I also have a large ferro rod, beeswax candle, pocket billow, and a handful of fat wood pieces in the bag and it still maintains a low profile. Amazing construction and the bright orange stands out for quick ID in my pack. Just bought my first one and I love it, holds plenty of gear and like all of these products it is extremely well made. 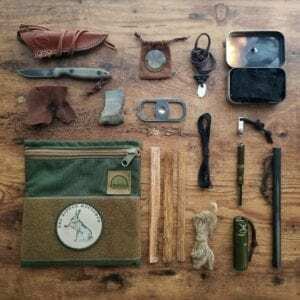 There is not much from the hidden woodsman that I don’t own and nothing I wouldn’t recommend. Buy with confidence! I’ve bought each of my daughters one of these as well as myself. Very well made. As soon as I see other colors I’m getting more. This one fits very well in the haversack. Love this gear!! 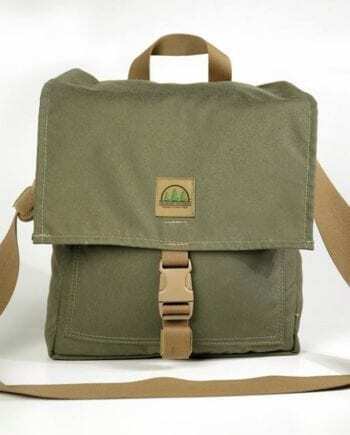 The haversack is the best. This fire bag works perfectly for what I wanted. I bought this for my emberlit stove and its the perfect size. It holds the stove, the half mini bushcraft grill and other small items. Next payday comes the survival kit bag. Everything is top quality so any item is a good choice. Great little pouch. Just the perfect size to carry all my fire starting gear in 1 place. Plus the bright orange is the perfect color and easy to see when in the woods. I bought 3 of them for me and my boys and would highly recommend it. Hope they come out with some other colors so I can get another color for my first aid gear.